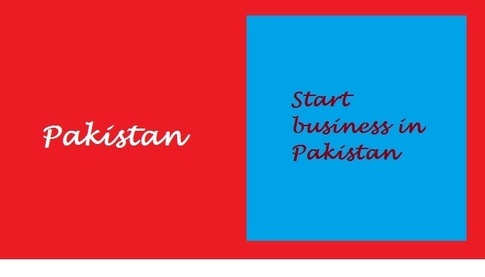 What is Company and How Company is Managed in Pakistan? For Company Registration in Pakistan, the Law recognizes a COMPANY, as a legal person which in its own rights, is capable of owning property, making contracts, conducting litigation’s and also responsible for doing wrongs. When we look at these matters from practical angle, and at the way in which this artificial legal person functions; its corporate will is manifested, its decisions taken and its acts performed, we see that a company cannot do anything at all except through the human beings. While registering your business as a private limited company in Pakistan (Company Registration in Pakistan, Company Formation, Company Incorporation in Pakistan) you should be aware, how a company functions? The business of a company is run and managed by its board of directors; which is headed by a Chief Executive. The companies appoint these officers as required by the Companies Ordinance, 1984 (hereinafter referred to as “the Ordinance”). The Ordinance necessitates the appointment of at least one director and a company secretary for a single member company, two directors for a private limited company, three directors for an unlisted public company and seven directors and a company secretary for a public listed company registered in Pakistan. The director, or directors, must manage the company’s affairs in accordance with its memorandum and articles of association and the law. Certain responsibilities apply to all directors, whether executive or non-executive. Professionals at Synergy Business Consulting can provide you best professional advice and support in registration of your business as a private limited company in Pakistan or in any country of the world. You can Contact us Now. 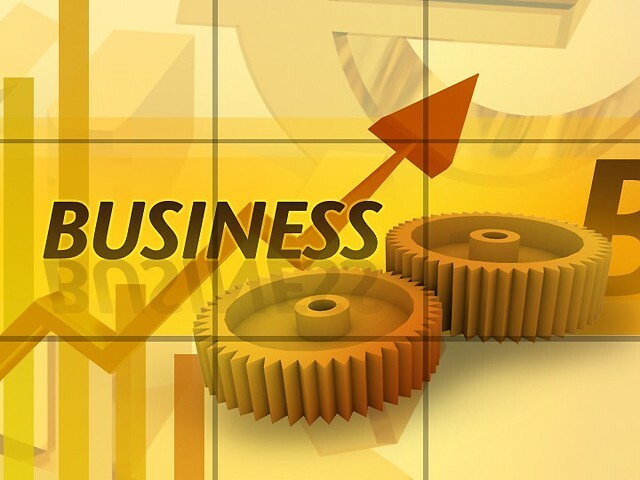 The basic features and advantages to carry out the business through a company registered in Pakistan are as under:- Distinct Legal Entity A Company registered in Pakistan is separate from its shareholders/directors. It has its own rights and liabilities. It can borrow money and invests funds, own property, sue and be sued, enter into contracts etc. Compact Legal and Organizational Framework The entity must function within the limits prescribed through its charter and regulates its existence through a set of bylaws. Professionals at Synergy Business Consulting can provide you best professional advice and support in registration of your business as a private limited company in Pakistan or company registration in Pakistan in any country of the world. You can Contact us Now. Companies Ordinance, 1984 govern the common forms of businesses adopted by entrepreneurs and investors in Pakistan. Securities and Exchange Commission of Pakistan (SECP) is the apex body which regulates and register companies in Pakistan under Companies Ordinance, 1984. An effort has also been made to outline general requirements and regulatory regimes for each of these forms of businesses in Pakistan for general guidance. There is a restriction that no association partnership or company, consisting of more than twenty persons shall be formed for the purpose of carrying on any business that has for its object the acquisition of gain by the association, partnership or company, or by the individual members thereof, unless it is registered as a company. Every person who is a member of any association, partnership of company carrying on business in contravention of the provisions of this section shall be punishable with fine which may extend to five thousand rupees and also be personally liable for all the liabilities incurred in such business. However, a partnership formed to carry on practice as lawyers, accountants or any other profession where practice as a limited liability company is not permitted under the relevant laws or regulations for such practice. MEMORANDUM OF ASSOCIATION: Three (3) or more persons associated for any lawful purpose may, by subscribing their names to a memorandum of association for registration, form a public company and any one (1) or more persons so associated may in like manner form a private company as under:- – A company limited by guarantee – An unlimited company Memorandum of company limited by shares shall stat e, the name of the company with the word “limited” as the last, word of the name in the case of a public limited company, and the parenthesis and words “(Private) Limited” as the last words of the name in the case of a private limited company. 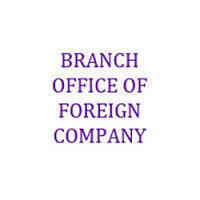 These will be mentioned in the memorandum of the company ,the name of the place of registration office, the objects of the company and in case of a trading corporation the territories to which they extend, the liability of the members is limited, the amount of share capital, and the division thereof into shares of a fixed amount. No subscriber of the memorandum shall take less than two shares and each subscriber of the memorandum shall write opposite to his name the number of shares he takes. Memorandum of company limited by guarantee: There must be mentioned in the memorandum, whether or not the company has a share capital, the name of the company with the parenthesis and words “(Guarantee) Limited” as the last words of its name, the name of the place of the registration office, the objects of the company and in case of a trading corporation, the territories to which they extend, the liability of the members is limited, each member undertakes to contribute to the assets of the company in the event of its being wound up while he is a member or within one year afterwards, for payment of the debts and liabilities of the company contracted before he ceases to be a member, and of the costs, charges and expenses of winding up, and for adjustment of the rights of the contributories among themselves such amount as may be required, not exceeding a specified amount. Company having share capital: The memorandum shall also state the amount of share capital with which the company proposes to be registered and the division thereof into shares of a fixed amount. No subscriber of the memorandum shall take less than one share and each subscriber shall write opposite to his name the number of shares he takes. Memorandum of unlimited company: The memorandum shall state, whether or not the company has a share capital, the name of the company, the name of the place of the registration office and the objects of the company, in case of a trading corporation, the territories to which they extend. If the company has a share capital, no subscriber of the memorandum shall take less than one share, each subscriber shall write opposite to his name the number of shares he takes. Memorandum must be printed, divided into paragraphs numbered consecutively, signed by each subscriber, who shall add his present name in full, his occupation and father’s name or in the case of a married woman or widow, her husband’s or deceased husband’s name in full, his nationality and his usual residential address and such other particulars as may be prescribed, in the presence of a witness who shall attest the signature and shall likewise add his particulars and date will also be mentioned. Notwithstanding anything contained in this Ordinance or in any other law for the time being in force or the memorandum and articles, the memorandum and articles of a company shall be deemed to include, and always to have included, the power to enter into any arrangement for obtaining loans, advances or credit, as defined in the Banking Companies Ordinance, 1962 (LVII of 1962), and to issue other securities not based on interest for raising resources from a scheduled bank or a financial institution. Alteration of memorandum: A company shall not alter the conditions contained in its memorandum except in the cases and in the mode and to the extent specified in this Ordinance. Subject to the provisions of this Ordinance, a company may, by special resolution alter the provisions of its memorandum so as to change the place of its registered office from one Province to another, or from one city or town in a Province to another, or from a part of Pakistan not forming part of a Province to a Province or from a Province to a part of Pakistan not forming part of a Province, or with respect to the objects of the company, so far as may be required to enable it, to carry on its business more economically or more efficiently, to attain its main purpose by new or improved means, and to enlarge or change the local area of its operations. To carry on some business, not specified in its memorandum, which may conveniently or advantageously be combined with the business of the company; or to restrict or abandon any of the objects specified in the memorandum; or to sell or dispose of the whole or any part of the undertaking of the company; or to amalgamate with any other company or body of persons. The alteration shall not take effect until and except in so far as it is confirmed by the Commission on petition. Provided that an alteration so as to change the place of registered office of a company from a place in the Province of the Punjab to the Islamabad Capital Territory or from the latter to a place in the Province of the Punjab, or from one city in a Province to another shall not require confirmation by the commission. Before confirming the alteration, the Commission must be satisfied that, sufficient notice has been given to every holder of debentures of the company and to any person or class of persons whose interest will, in the opinion of the Commission, be affected by the alteration; and that with respect to every creditor who in the opinion of the Commission is entitled to object, and who signifies his objection in manner directed by the Commission, either his consent to the alteration has been obtained or his debt or claim has been discharged or determined, or has been secured to the satisfaction of the Commission. Provided that the Commission may in the case of any person or class of persons, for special reasons, dispense with the notice required. Powers of Commission when conforming alteration: The Commission may make an order confirming the alteration either wholly or in part, and on such terms and conditions as it thinks fit, and make such order as to costs as it thinks proper. Exercise of discretion by Commission: The Commission shall in exercising its discretion under section 21 and 22 have regard to the rights and interests of the members of the company or of any class of them, as well as to the right and interests of the creditors, and may, if it thinks fit, adjourn the proceedings in order that an arrangement may be made to the satisfaction of the Commission for the purchase of the interests of dissident members; and may give such directions and make such orders as it may think expedient for facilitating or carrying into effect any such arrangement. Provided no part of the capital of the company may be expended in any such purchase. Procedure when alteration is confirmed: A certified copy of the order confirming the alteration, together with a printed copy of the memorandum as altered shall within ninety days from the date of the order, be filed by the company with the registrar, and he shall register the same, and shall certify the registration under his hand, and the certificate shall be conclusive evidence that all the requirements of this Ordinance with respect to the alteration and the confirmation thereof have been complied with, and thenceforth the memorandum so altered shall be the memorandum of the company. Where the alteration involves a transfer of the registered office from one Province to another, or from the Islamabad Capital Territory to a province or from a Province to Islamabad Capital Territory, a certified copy of the order confirming such alteration shall be filed by the company with the registrar in each of such provinces or the Islamabad Capital Territory, as the case may be, and each such registrar shall register the same, and shall certify under his hand the registration thereof, and the registrar for the Province or the Territory from which such office is transferred shall send to the registrar for the other Province or Territory all documents relating to the company registered or filed in his office. The Commission may by order at any time extend the time for the filing of documents with the registrar under this section for such period as it thinks proper for Company Registration in Pakistan. Effect of failure to register within ninety days: No such alteration shall have any operation until registration thereof has been duly effected in accordance with the provision of section 24, and if such registration is not effected within ninety days next after the date of the order of the Commission confirming the alteration, or within such further time, as may be allowed by the Commission, in accordance with the provisions of section 24, such alteration and order, if any, and all proceedings connected Companies Ordinance, 1984. At the expiration of such period of ninety days or such further time, as the case may be, become null and void: Provided that the Commission may, on sufficient cause shown, revive the order or alteration, as the case may be, on application made within a further period of ninety days. ARTICLES OF ASSOCIATION Registration of articles: There may, in the case of company limited by shares, and there shall, in the case of a company limited by guarantee or an unlimited company, be registered with the memorandum, articles of association signed by the subscribers to the memorandum and setting out regulations for the company. Articles of association may adopt all or any of the regulations contained in Table A in the First Schedule. In the case of an unlimited company or a company limited by guarantee, the articles, if the company has a share capital, shall state the amount of share capital with which the company proposes to be registered. In the case of an unlimited company or a company limited by guarantee, if the company has not a share capital, the articles shall state the number of members with which the company proposes to be registered. In the case of a company limited by shares and registered after the commencement of this Ordinance, if articles are not registered, or, if articles are registered, in so far as the articles do not exclude or modify the regulations in Table A in the First Schedule, those regulations shall, so far as applicable, be the regulations of the company in the same manner and to the same extent as if they were contained in duly registered articles. The articles of every company shall be explicit and without ambiguity and, without prejudice to the generality of the foregoing, shall list and enumerate the voting and other rights attached to the different classes of shares and other securities, if any, issued or to be issued by it. The articles shall be printed, divided into paragraphs numbered consecutively, signed by each subscriber, who shall add his present name in full, his occupation and father’s name or, in the case of a married woman or widow, her husband’s or deceased husband’s name in full, his nationality and his usual residential address and such other particulars as may be prescribed, in the presence of a witness who shall attest the signature and shall likewise add his particulars and date. Alteration of articles: Subject to the provisions of this Ordinance and to the conditions contained in its memorandum, a company may by special resolution alter or add to its articles, and any alteration or addition so made shall be as valid as if originally contained in the articles, and be subject in like manner to alteration by special resolution. Provided that, where such alteration affects the substantive rights or liabilities of members or of a class of members, it shall be carried out only if a majority of at least three-fourths of the members or of the class of members affected by such alteration, as the case may be, personally or through proxy vote for such alteration. FORMS OF MEMORANDUM AND ARTICLES: The memorandum of association of a company limited by shares, the memorandum and articles of association of a company limited by guarantee and not having a share capital, the memorandum and articles of association of a company limited by guarantee and having a share capital, the memorandum and articles of association of an unlimited company having a share capital shall be respectively in accordance with the forms set out in Tables B, C, D and E in the First Schedule or as near thereto as circumstances admit. GENERAL PROVISIONS WITH RESPECT TO REGISTRATION OF MEMORANDUM AND ARTICLES: Registration of memorandum and articles, if any, shall be filed with the registrar in the Province or the part of Pakistan not forming part of a Province, as the case may be, in which the registered office of the company is stated by the memorandum to be situated. A declaration by such person as may be prescribed in this behalf, or by a person named in the articles as a director, or other officer of the company, of compliance with all or any of the requirements of this Ordinance and the rules made there under shall be filed with the registrar; and the registrar may accept such a declaration as sufficient evidence of such compliance. If the registrar is satisfied that the company is being formed for lawful purposes, that none of its objects stated in the memorandum is inappropriate or deceptive or insufficiently expressive and that all the requirements of this Ordinance and the rules made there under have been complied with in respect of registration and matters precedent and incidental thereto, he shall retain and register the memorandum and articles, if any. If registration of the memorandum is refused, the subscribers of the memorandum or any one of them authorized by them in writing may either supply the deficiency and remove the defect pointed out, or within thirty days of the order of refusal prefer an appeal. Where the order of refusal has been passed by an additional registrar, a joint registrar, a deputy registrar or an assistant registrar, appeal will be preferred to the registrar; and where the order of refusal has been passed, or up-held in appeal, by the registrar, then appeal will be preferred to the Commission. An order of the Commission shall be final and shall not be called in question before any Court or other authority. Effect of memorandum and articles: The memorandum and articles shall, when registered, bind the company and the members thereof to the same extent as if they respectively had been signed by each member and contained a covenant on the part of each member, his heirs, and legal representatives, to observe and be bound by all the provisions of the memorandum and of the articles, subject to the provisions of this Ordinance. All money payable by any member to the company under the memorandum or articles shall be a debt due from him to the company. Effect of registration: On the registration of the memorandum of a company, the registrar shall certify under his hand that the company is incorporated and, in the case of a limited company, that the company is limited by shares or guarantee, as the case may be. From the date of incorporation mentioned in the certificate of incorporation, the subscribers of the memorandum, together with such other persons as may form time to time become members of the company shall be a body corporate by the name contained in the memorandum, capable forthwith of exercising all the functions of an incorporated company, and having perpetual succession and a common seal, but with such liability on the part of the members to contribute to the assets of the company in the event of its being wound up as is mentioned in this Ordinance. Conclusiveness of certificates of incorporation: A certificate of incorporation given by the registrar in respect of any association shall be conclusive evidence that all the requirements of this Ordinance in respect of registration and of matters precedent and incidental thereto have been complied with, and that the association is a company authorized to be registered and duly registered under this Ordinance. Effect of alteration in memorandum or articles: Notwithstanding anything contained in the memorandum or articles of a company, no member of the company shall be bound by an alteration made in the memorandum or articles after the date on which he became a member if and so far as the alteration requires him to take or subscribe for more shares than the number held by him at the date on which the alteration is made, or in any way increases his liability as at that date to contribute to the share capital of, or otherwise to pay money to, the company. Provided that this section shall not apply in any case where the member agrees in writing either before or after the alteration is made to be bound thereby. Copies of memorandum and articles to be given to members: Every company shall send to every member, at his request and within fourteen days thereof, on payment of such sum, not exceeding the prescribed amount, as the company may fix, a copy of the memorandum and the articles, if any. If a company makes default in complying with the above requirements, it shall be liable for each offence to a fine not exceeding one hundred rupees. Alteration of memorandum or articles to be noted in every copy: Where an alteration is made in the memorandum or articles of a company, every copy of the memorandum or articles issued after the date of the alteration shall conform to the memorandum or articles as so altered. If, where any such alteration has been made, the company at any time after the date of the alteration issues any copies of the memorandum or articles which do not conform to the memorandum or articles as so altered it shall be liable to a fine which may extend to one thousand rupees for each copy so issued and every officer of the company who is knowingly and willfully in default shall be liable to the like penalty. is a member of a Stock Exchange engaged in the business of brokerage, or is a spouse of such member*. (* The restrictions are applicable only in case of listed companies). notice of change of registered office (Form 21). Appointment of Legal Adviser (Companies Appointment of Legal Advisor’s Act, 1974). 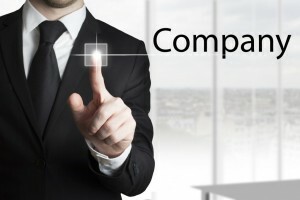 In exchange for the benefits of trading with limited liability, companies must deliver certain information about themselves to the Registrar, who makes this information available for inspection by the public so that they can make informed decisions about companies that they may wish to invest in or do business with. Further, Documents / informations maintained by the registrar is the public record and available for inspection by the rest of the world i.e. the creditors, venders and general public for the purpose of making investment in the company, enter into contract and for other useful purposes. Your legal/corporate consultant’s responsibilities to you depend on the agreement between you and him or her. However, the responsibility to file accounts and other statutory documents rests entirely with the directors. Ensure that your legal/corporate consultants have all the necessary information/document to prepare and file the statutory returns on time. Keep close coordination with your consultants. Don’t just assume that they are getting on with the job. Accountants, legal, corporate and financial advisers do not get adjudicated / prosecuted or penalized for late filing under the Ordinance. You do! Professionals at Synergy Business Consulting can provide you best professional advice and support in registration of your business as a private limited company in Pakistan or in any country of the world. You can Contact us Now.